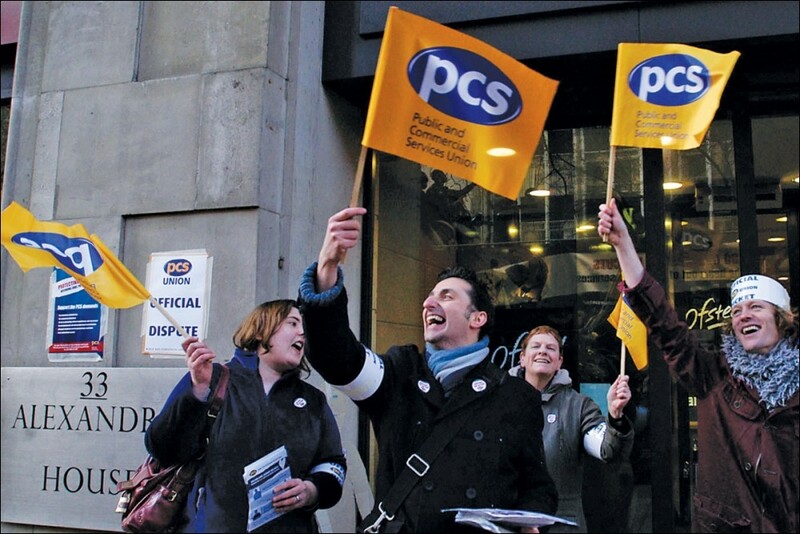 This month, voting meetings are taking place to decide the PCS civil service union Left Unity candidates for the 2019 national executive committee (NEC) and assistant general secretary (AGS) elections. Here, we carry the election statements of two Socialist Party members seeking nomination. Chris Baugh, the current AGS, is standing to once again be the Left Unity candidate for this position next year. 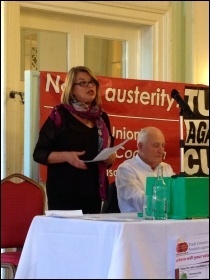 Marion Lloyd, who is currently a member of the national executive committee (NEC), is seeking the Left Unity nomination to contest the position of national president. The candidates being supported by the Socialist Party and by the Chris4AGS campaign in the Left Unity voting meetings can also be found below. We thank Left Unity members for their support during the nomination process. Chris and Marion both received eight nominations and the number of votes for Chris Baugh and Janice Godrich were very close. This shows that the election is neck and neck, with everything to play for. In the London Left Unity nomination meeting for example, Chris got 18 votes and Janice got eight. The latest article by Janice Godrich's supporters gives a misleading impression about the nominations for Janice. What it doesn't say is that, unfortunately, there were insufficient members in two of the Left Unity regional groups for a nomination to be accepted according to the rules. We have respect for every Left Unity member and look forward to the discussions at the voting meetings, where all the issues can be debated. This is what we have always wanted. I ask for your support as Left Unity candidate in the 2019 AGS election. Elected three times since 2004, I have spent all my working life building the union and the left. I played a leading role in creating PCS Left Unity and was national chair for many years. I have shown a lifetime commitment to implementing union policy, to working-class struggle and a socialist alternative to capitalism and climate change. I was part of a left leadership that defeated the right wing, challenged Tory austerity, and defied their unlawful attempt to bankrupt us. I have navigated the union through Tory attacks on union finances and helped secure the union's survival. I have extensive bargaining experience - an area in which I play a lead role - winning gains on PMR and Apprenticeships and fighting to restore our national bargaining rights. I am a consistent supporter of groups and branches taking action, including members fighting privatisation and in the private sector. Challenged racism from the 70s to the present day. Won breakthrough childcare and parental leave provision In the Land Registry. I stand for a national campaign to challenge discrimination embedded in HR practice, remove barriers for women at work, close the gender pay gap and support equality groups fighting for Black, Disabled and LGBT+ members. I will defend the rights of transgender members in line with union policy. I was responsible for setting up the vibrant Young Members network in 2006 which has brought hundreds of young members into activity in PCS and the wider movement. As group president I laid the foundations for the Land Registry group who defeated privatisation and delivered the 50% threshold in the pay ballot. I have consistently defended the authority of the union's conference and lay power. I will work to implement the election of full-time officers. I have kept my promise to repay part of my salary into union funds and various labour movement and environmental causes. I was instrumental to the union's intervention in the Independence Referendum and pay strategy in Scotland which has won gains for members. I worked to implement a conference policy on devolution that protects jobs and public services in Wales. I am proud to be a close ally of the NIPSA public service union in Northern Ireland. I helped set up Tax Justice Campaign and 'PCS alternatives to austerity'. I have been at the forefront of developing a trade union approach to climate change in the UK and internationally. Our political strategy should be based on the implementation of union policy to support politicians who support us. This means working with the Labour leadership and parliamentary groups across the UK in support of PCS campaigns and policies. We need a Labour government led by Jeremy Corbyn to enact a shared and radical programme in members' and workers' interests. The pay ballot recorded our biggest vote for action but didn't reach the 50% threshold. We need to do more than recruit more members and ballot again in March. 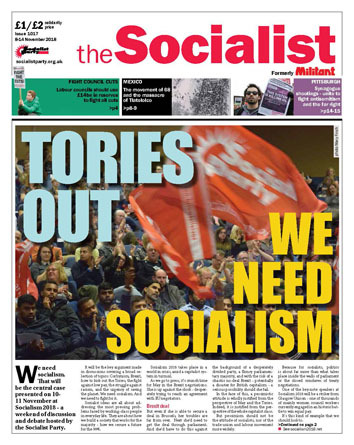 We need to consider a special conference and all options for 2019, including the precise form of statutory ballots; a national industrial action strategy; national and group action; potentially linking pay with jobs and other issues; key organising and recruitment priorities; pressing the TUC, STUC and WTUC for coordinated action on pay; and working with unions preparing for action in 2019. Unsubstantiated claims have been made against me in a manner alien to the best traditions of Left Unity and against natural justice. I hope you will reject such methods and support me as the best qualified AGS candidate in the 2019 election. I am standing for re-election to Left Unity National Chair, to be the Left Unity candidate for national president, and to be a candidate for the NEC. 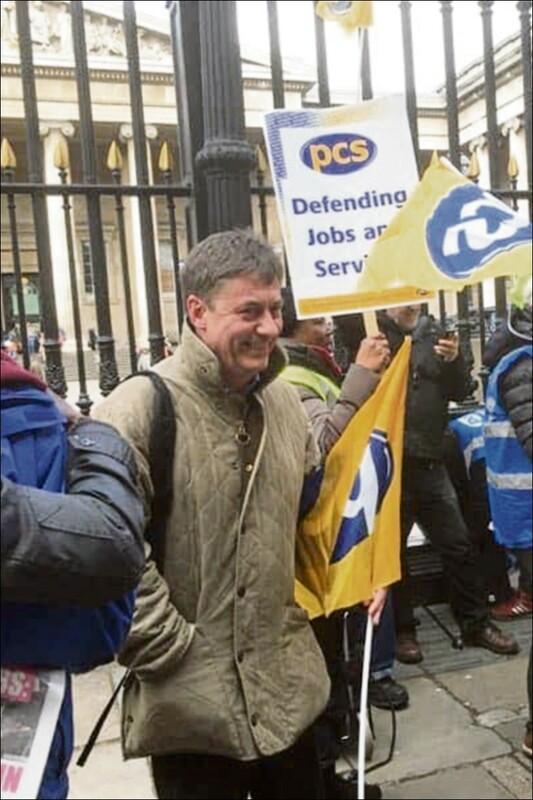 I have been active in PCS since I was 16 and served at all levels: as a member of the NEC, group president, regional chair - across many departments, including the private sector. I have extensive experience across PCS - which I believe is vital to represent all members, whether in big operational areas like the DWP or HMRC, in smaller policy areas like Education, Transport, and Culture, or in the Commercial Sector. I was the first left candidate elected to the Ministry of Defence section executive following political victimisation, before being forced to move to Department for Health and Social Security. I led the Forest Hill dispute against the removal of screens whilst in the Department for Employment and, despite right-wing sabotage, won significant concessions after a year-long strike. I have substantial bargaining experience linked to campaigning and organising, most recently leading members to save BIS Sheffield - winning protections for 9,000 staff facing abolition of their 11 employers, playing a significant role in the ACAS dispute, leading talks and working with reps to win the strike vote. I fight hard for members across all equality groups including winning break-through childcare support. The next steps on pay should not be more of the same. We should consider different options, including pay linked with jobs and services, and an aggregate ballot building from the grass-roots. The brilliant £3 million win in court can support this. Working to re-build Left Unity whilst Chair, I stand for a democratic, campaigning, independent organisation: vital to maintain PCS as a fighting union. I believe passionately in lay democracy and full-time officers elected and accountable to a fighting membership-led left leadership. A Corbyn Government is crucial. As a Socialist Party member, I believe that we must ensure that a radical programme reflecting union policies is implemented. Please vote for me, Chris Baugh for AGS and those supporting #Chris4AGS.